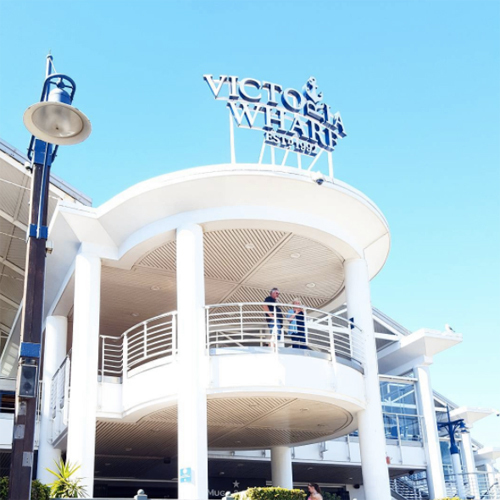 If you are looking for a place to splash some cash, then you will certainly be at home at the V&A Waterfront. This shopping mall has got all your favourite high street brands as well as the high end designers all under one roof. The sprawling restaurant scene that boarders the port offers shopaholics a welcome retail retreat. Grab a table, order an ice cold glass of white wine and sample some of the fabulous sushi from one of the many establishments while you watch the world go by. The ultimate place for people watching, you are sure to see some glamorous fashionista types making their way through the town. Located on Long Street this place may very well be a chain but it sure doesn’t feel that way. This perfect, laid-back eatery serves awesome burgers, grills and pizzas as well as offering up cocktails and craft beers. 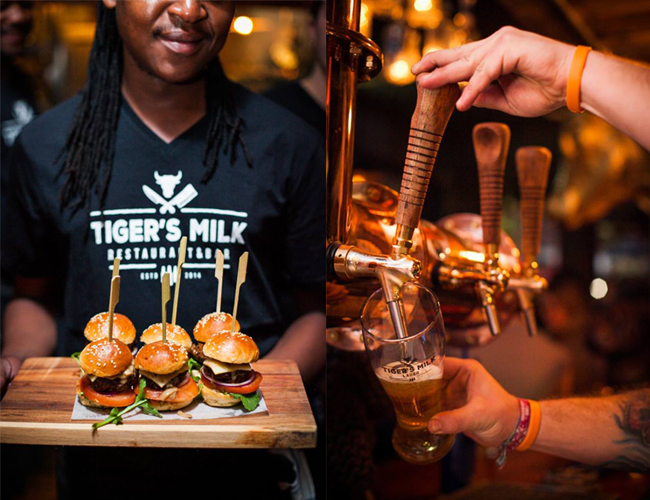 Open till 2am it’s the go-to place for those seeking an after dark feed surrounded by young, fun Capetonians. Book a table though as this place gets lively come sundown. You can’t come all the way to Cape Town and not take the time out to see Table Mountain. 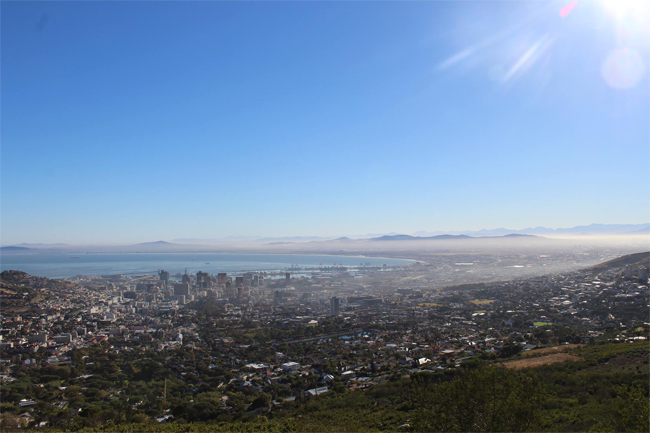 One of the seventh wonders of the natural word, the flat topped mountain range is not only unusual in its landscape, but also affords wonderful views of all of Cape Town and even Robyn Island. There are several ways to the top, from walking tours and strenuous hikes to the more ‘rooky’ friendly cable cars. Make sure you go on a clear day if you want to make the most of the experience and don’t forget those hats and suncream as it can get very unforgiving up there and you don’t want to come back down an embarrassing shade of red. There is even a café up top to grab a quick bite or a refreshing drink while you take in the picturesque sights. Cape Town is known for its high winds so on days where you need to escape head to this stunning sanctuary. 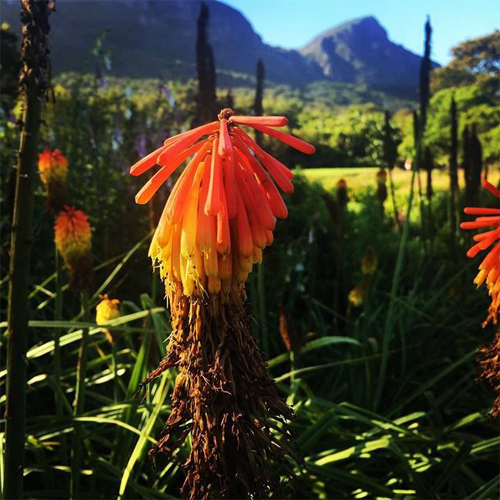 Known as the most beautiful garden in Africa, Kirstenbosch is certainly worth a visit. Few gardens can match its sheer grandeur, set against the eastern slopes of Cape Town’s Table Mountain the views are breathtaking. Wild flowers and natures creatures come alive here and the tree top canopy walk offers visitors a unique vantage point when exploring the area. With bountiful green areas for lounging and a gorgeous on site restaurant, Kirstenbosch is the perfect place to while away an afternoon under the shade of an old oak tree. A short stroll from the arty, trendy suburb of Woodstock is The Old Biscuit Mill. Home of boutique shops, galleries and a plethora of hipster eateries, it is a great place to while away a few hours. 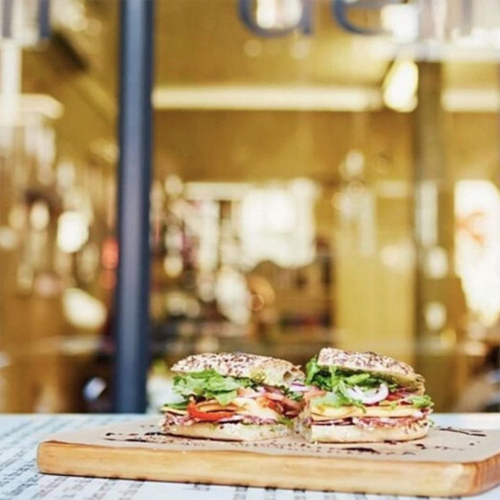 Drop by Saucisse Deli for their amazing breakfasts, gourmet sandwiches and home baked goods; this little place is all about local ingredients and eating healthy so its definitely food to feel good about. Pick up some local produce on your way out and take a taste of Saucisse home with you. But if you like your food a little bit bolder here you will also find the famous Test Kitchen, but good luck getting a table as this place books up three to four months in advance! So if you know you are coming to Cape Town and don’t want to miss out on the chance to experience the avant-garde dining experience then get your reservations in now! Camps Bay is the playground for the rich, famous and fabulous. The beachside suburb is shrouded by opulent homes that jut ostentatiously from the cliffs, while the street teams with flashy cars and bronzed bikini clad bodies. It’s not everyone’s cup of tea, but has to be seen. When you’re in town book into one of the many fine dining restaurants. 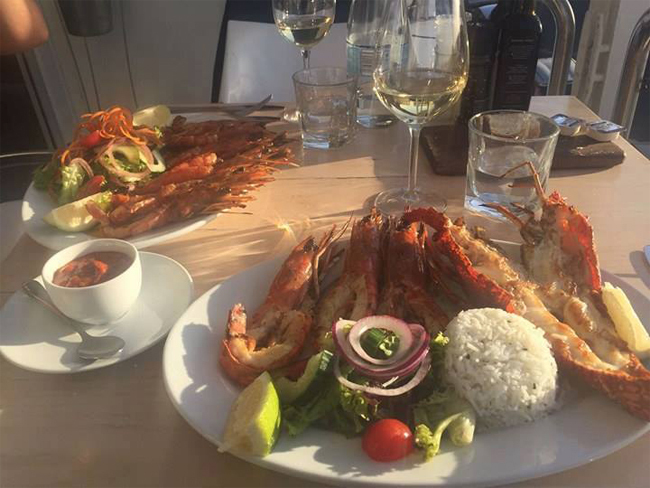 Blues Restaurant is an excellent choice for anyone who loves shellfish; order the prawns and the crayfish, and book in time for the sunset to really get the full experience. If you can get a table at the weekend, then definitely do as local groups of dancers and choirs set up along the beachfront entertaining passers by with their traditional song and dance adding a real South African authenticity to this otherwise western place. Camps Bay is where the money is in Cape Town, but don’t be fooled, there is still much poverty here and nowhere is the meeting of first and third world more evident.